We really couldn’t be happier with the result. 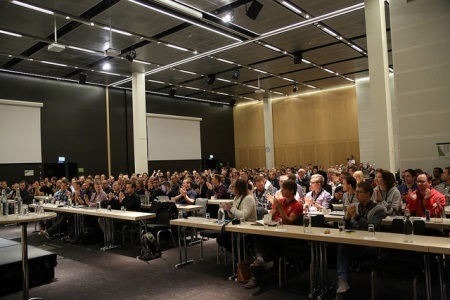 This year we sold out in less than 4 days and on October 12:th, Waterfront Conference Centre in Stockholm filled up with 250 knowledge hungry developers. 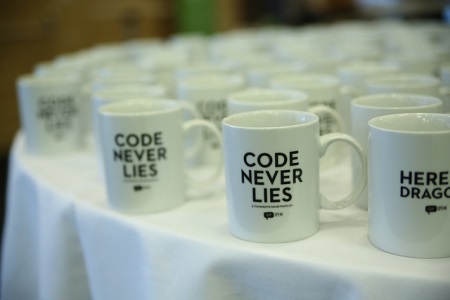 All eager to learn something new, meet new friends and evolve in their role as developers. The day went by in a flash with awesome sessions and in-between-sessions discustions. At the end #leetspeak had trended on twitter over 13 hours and 99.3% of the attendees (that voted) gave Leetspeak a top rating (151 green cards, 1 yellow, 0 red). Here is a short summary of the sessions, links to slides and recorded material. Just Parallel.ForEach won’t get you far. Joe Hummel showed us with simple and practical examples of how to really parallelize our code. He also shared patterns and ways to think about parallelization, as well as how to utilize the different caching layers to make our code even more efficient. In this talk he also covers parallelization techniques, contention, locking mechanisms and much more. Andreas Håkansson (a.k.a TheCodeJunkie) told us about how we, in a creative way, can make public API:s and frameworks more intutitive for consumers. If you ever wondered “what can I do with the dynamic keyword?”, then this session might be what you’ve been looking for. For the last couple of years, C# developers has been looking envious at the node.js camp, wanting something similar for the .NET platform. ScriptCS is here to change that. Utilizing both Roslyn and NuGet, it let us rapidly prototype ideas and even develop modern applications. It even includes a REPL. Who would have known!? Peter Gasston tells us why we don’t need to wait to start using the latest and coolest CSS browser features. An excellent presentation about the current and future state of CSS. Nowadays, our mobile applications are accessed by all kinds of devices. And we can not assume that the performance that we have when testing it on a desktop computer will be the same on mobile devices. Because of this it’s becoming more and more important to make good performance measurements on your application before showing it to the world. In this talk, Patrick Dubroy show us different ways to profile our mobile applications, so that they are perceived as fluid as their desktop counterparts. 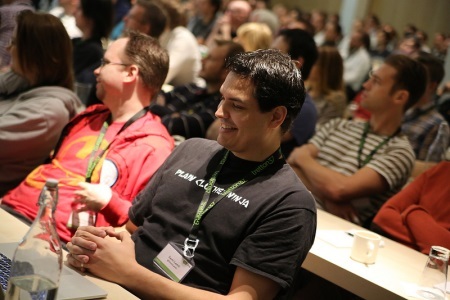 A big thank you to all of you that made it to Leetspeak 2013. Without you, nothing of this would have been possible! Thank you!